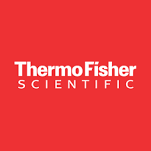 After a recent reconfiguration of modular conveyor systems at Capitol Vial Inc., a division of Thermo Fisher Scientific, Engineering Manager Jeff Steiger commented on the benefits of using reconfigurable conveyor technology in his plant. “We’ve done many reconfigurations in our plant. The DynaCon conveyors are like a Lego set. If you want to change it tomorrow you can take the pieces apart and add other pieces and you don’t have to buy a new conveyor,” he says. Capital Vial, Inc. is the leading provider of flip top vials to the pharmaceutical, medical device, diagnostic testing, drug testing, water testing, food, dairy and confectionary markets, producing five million vials per week with approximately 400 SKU’s. Currently the company has approximately 20 DynaCon conveyor systems they use to transport the vials from the injection presses to various stations for printing and bagging. The modular conveyors, manufactured by the pioneer in reconfigurable conveyor technology, Muskegon, MI-based Dynamic Conveyor, are easily reconfigured by removing, inserting or exchanging modules that are available in lengths as short as 6″. In addition to the ability to reconfigure systems, the DynaCon modular conveyors give the organization the ability to redirect operations on the fly as well as reducing the manual labor of handling the product. “We use the DynaCons to go any which way, and we can reverse them or forward them to feed more machines for one application and we switch back and forth based on demand,” he says. Standard DynaCon conveyors are clean room ready, meeting Federal Standard Class 1 (ISO Class 3) rating, making them an ideal match for Capitol Vial’s FDA-approved food grade polypropylene containers that conform to FDA and SAMHSA specifications, and are manufactured in FDA approved Class 100,000 clean rooms. “Our vials are sterile by process. They close in the mold, so when the vial comes out of the tool, the top is already closed and it’s clean,” says Steiger.